The folks at Maiyas have always believed in serving healthy food in a clean and ultra-hygienic setup. There is always something new and innovative that comes out from the kitchens of Maiyas restaurant, they are also known for specializing in a variety of Ready to Eat food options, Beverages, Frozen foods, sweets, and snacks. 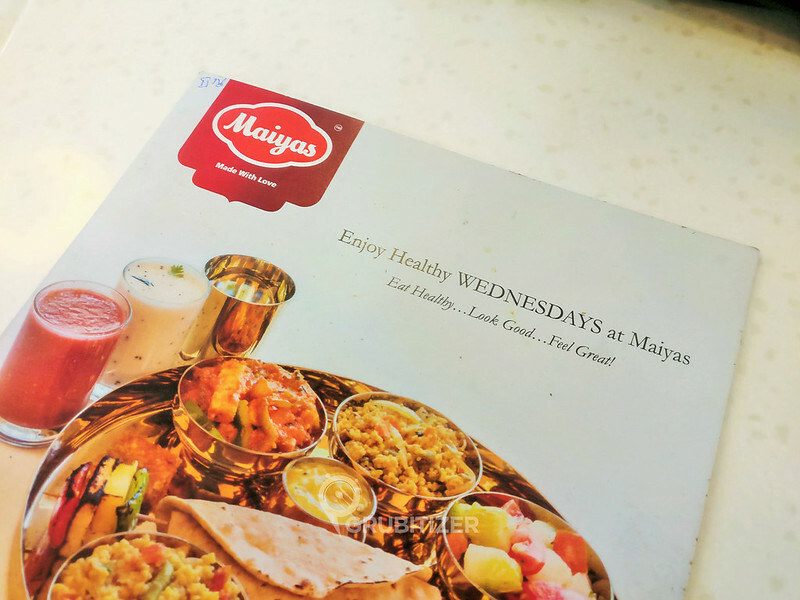 Maiyas recently started offering Millets Thali which is available only on Wednesdays and me along with other blogger friends were invited to get a first-hand feel of this Health Thali. We gathered at their flagship store in Jayanagar on a weekday for lunch, after the initial round of clicking pictures we were greeted by none other than Dr. Sadanad Maiya. 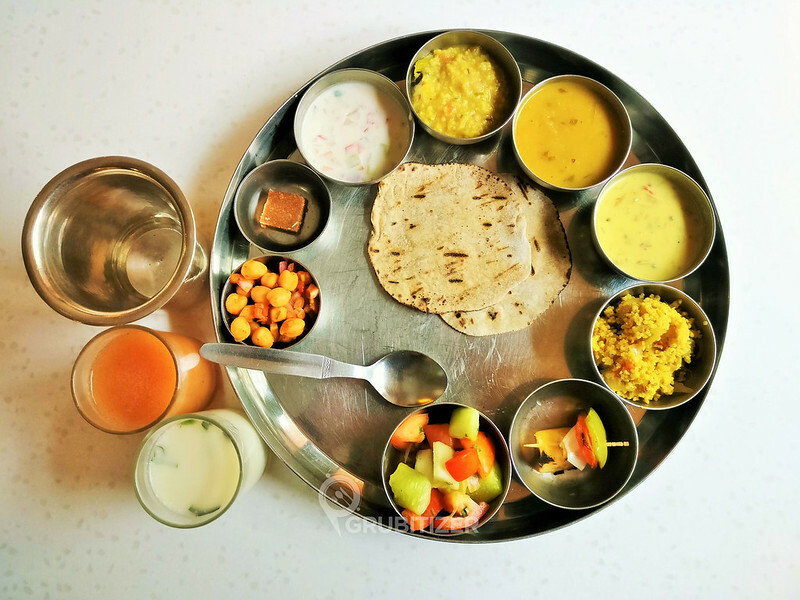 The nutritionist who joined us explained that the Millets thali served here is well balanced in terms nutrients, plus the entire Thali has less than 500 calories. The protein rich Thali is a wholesome mix of mixed Millets roti, Millets Pulav, Fresh vegetable salad, Millet Upma, Raita, kadhi, sweet dish that is made from dates. The next best part about this Millet’s Thali is that it costs INR 150 which makes it extremely value for money. 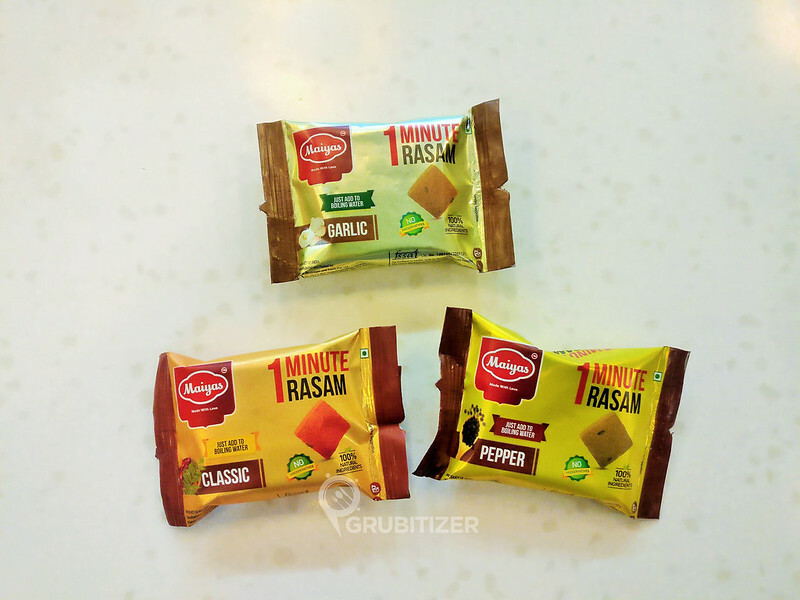 We got to check out Maiyas latest product called ‘One Minute Rasam’ which is available in three different flavors – Classic, Pepper, Garlic. This is ideal for people who travel a lot and have trouble finding our traditional Rasam and rice combination outside. The process to prepare it super simple, just mix it in a bowl of hot water and you are set. For more details about the restaurant, check out their website by clicking on the link herehere. Millets thali !! i ll sure try there, thanks for sharing. Yeaa … Other days we get normal Thali… Millets Thali is available on Wednesdays only! Most welcome ..do check it out at Maiyas Outlets, but on Wednesdays only!